In this Merchandiser review, we’ll be looking at the latest ecommerce WordPress theme from the GetBowtied team. 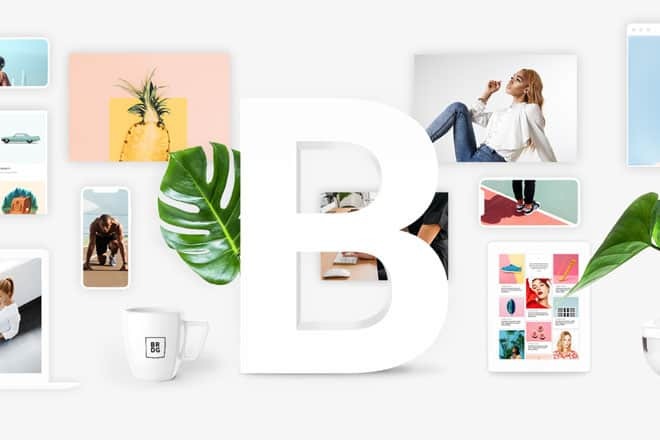 GetBowtied specializes in creating stylish and elegant ecommerce themes to help your build successful online shops with WordPress. Merchandiser aims to buck the current trend of feature packed multipurpose WordPress themes. 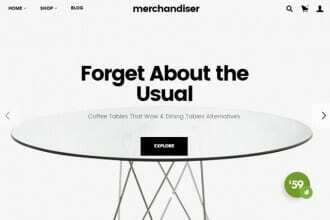 Instead, Merchandiser is a bloat-free theme that offers just enough to help you create a beautiful online store and nothing more. Merchandiser is all about minimalistic design, fast performance, and effortless maintenance. But does it succeed in these goals without compromising on essential features? Should you use Merchandiser for your WordPress ecommerce store? To find out, read on for our hands-on Merchandiser review to discover if this really is the best WordPress ecommerce theme for your business. The Merchandiser WordPress ecommerce theme takes the less is more approach when it comes to features, design, and functionality. The goal here is to ensure you get a fast loading, easy to manage, and streamlined ecommerce website. However, does this pursuit of minimalism result in a lack of important features? Let’s take a look and find out. This is clearly a stylish and modern ecommerce theme. The key selling point of Merchandiser is undoubtedly its design and appearance. This is clearly a stylish and modern ecommerce theme. The result of this is that Merchandiser should appeal to anyone creating an online store with WordPress – no matter whether they are selling physical products, digital downloads, or even creating an affiliate marketing storefront or drop shipping business. This ecommerce theme has been built the WordPress way. The simplicity of Merchandiser extends to all areas of this WordPress theme, from the design of the homepage and individual product pages, to the functionality of the admin dashboard pages. This ecommerce theme has been built the WordPress way. However, as impressive as this commitment to simplicity is, is it achieved at the expense of the functionality that’s required to build a full featured online store? To answer that question, let’s check out the engine that powers the ecommerce capabilities of this theme in the next section of this hands-on Merchandiser review. 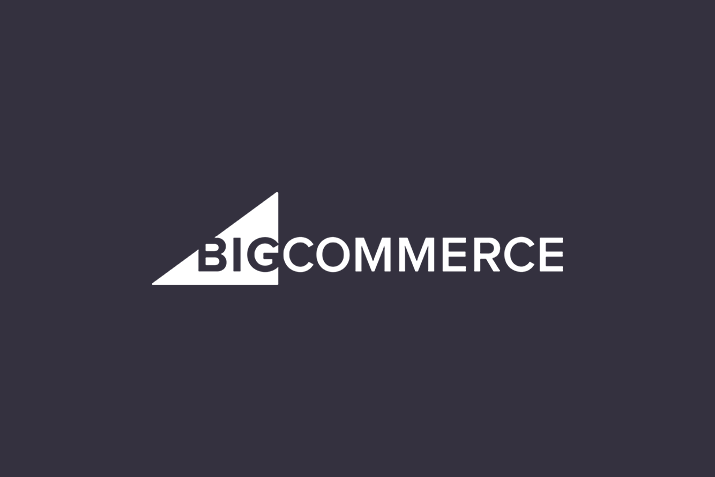 WooCommerce is a great choice for any online store. Merchandiser has been built around the WooCommerce online shop builder plugin. WooCommerce is the most popular ecommerce plugin for WordPress and it’s a great choice for any online store. Setting up and defining the important properties of your store is a breeze. As well as all the powerful features of WooCommerce, one other reason why it’s such as good option is the incredibly straightforward setup process. With the WooCommerce quick start walkthrough guide, setting up and defining the important properties of your store is a breeze. Once you’ve walked through the simple, five-step setup process, your WordPress website will be ready. Now you can list products for sale, let visitors create accounts and add products to their carts, before making payments through PayPal and Stripe. All that’s left for you to do is add your inventory to the store. Thankfully, this again takes place through the intuitive user interface of WooCommerce. There’s also a wealth of online documentation available for WooCommerce. The beauty of WooCommerce is that the free core version of the plugin which provides you with everything you need to start selling online is free to use. However, almost any additional feature you can think of can easily be added to your store by installing one or more of the many extensions available for WooCommerce. There’s also a wealth of online documentation available for WooCommerce, helping you to get the most from your online store. As Merchandiser has been created to take full advantage of WooCommerce, your online store will not only look great but will also have all the features you need. Merchandiser is clearly aimed at those looking for a theme that’s easy to setup and ready to go, right out of the box. However, those with more custom needs won’t be disappointed with this ecommerce theme. Firing up the WordPress Customizer tool reveals a pleasant surprise. Firing up the WordPress Customizer tool reveals a pleasant surprise. Instead of the standard set of controls offered by most WordPress themes, you can customize many aspects of your ecommerce website. Through the intuitive Customizer user interface, you can personalize the header layout and other header settings. You can also change the typography configuration, customize the shop layout style, and modify the product page design. It’s very easy to make changes to your Merchandiser powered WordPress website. The Customizer controls also cover the regular settings of your site, including the menus, widgets, and site identity settings. Thanks to the front-end interface of the Customizer and its live preview feature, it’s very easy to make changes to your Merchandiser powered WordPress website. The Customizer also gives you a simple way to test out the responsiveness of your website and see how your store and its products will look on small screen smartphone and tablet devices. You can use Visual Composer and its library of page elements to create your own designs from scratch. As you also get access to the Visual Composer plugin, you can easily customize any of the pages templates that make up the Merchandiser theme. Through the Visual Composer page builder interface, you can point-and-click and drag-and-drop your way around the included page templates to customize them. Alternatively, you can use Visual Composer and its library of page elements to create your own designs from scratch. The design and general appearance of Merchandiser is one of its best features. However, thanks to the Customizer options and Visual Composer builder tool, tweaking or completely overhauling the design is very straightforward. After activating Merchandiser, you’ll be taken to the theme’s Welcome screen within your WordPress admin dashboard. This is a nice touch as all too often you’re left to work out what to do next on your own after activating a new theme. From the Welcome screen, you can enter the product key to activate the theme and gain access to the required free and premium plugins. As mentioned, the Merchandiser theme includes the premium Visual Composer plugin. WooCommerce is another plugin that’s required by this theme and it’s the tool that powers the ecommerce functionality of your website. You must also activate the GetBowtied Tools plugin as this facilitates the installation of the required plugins, handles the demo content import, and enables future theme updates. Importing the demo content quickly lays a great foundation for your own content. Once the required plugins have been taken care of, you then have the option of importing the demo content. Again, this is a one-click process that will create a number of useful pages and samples products on your website. It’s highly recommended that you do import the demo content as it quickly lays a great foundation for your own content. Making it as easy as possible to build an online shop with WordPress is where the simplicity of Merchandiser really pays off. If you’ve been delaying creating your ecommerce website due to concerns about how difficult the job might be Merchandiser was built just for you! When you also take into account the $59 price tag, Merchandiser is an even more compelling option. In addition, as this is a theme built by a team experienced in ecommerce and developing themes for online stores, you can expect plenty of updates and improvements in the future. Furthermore, when you also take into account the $59 price tag, Merchandiser is an even more compelling option. After testing this theme, what stands out is that Merchandiser is quick to setup, fast to load, and easy to maintain. By being strict about only including what you need, and nothing more, GetBowtied has been successful in their goal to create a minimal and efficient ecommerce theme that still has the right look and feel, as well as all the essential features, to ensure your business is a success. Merchandiser is quick to setup, fast to load, and easy to maintain. 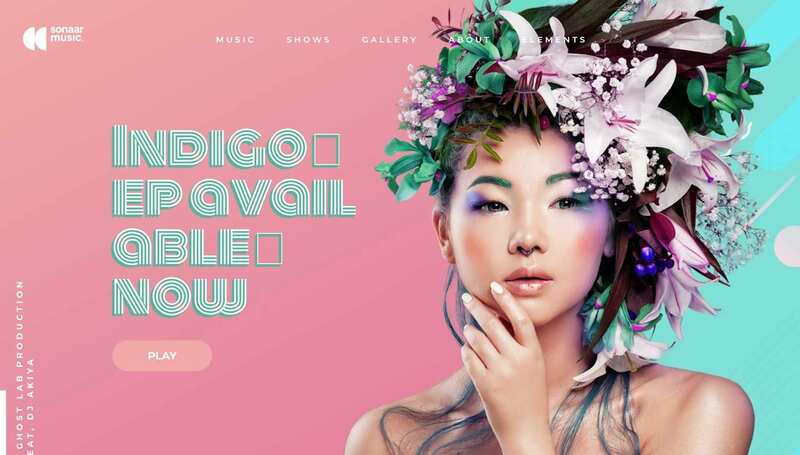 On the other hand, if you’re looking for a feature-packed theme that includes animated slideshows, countless demos, and all the other features you’ll find in the best-selling multipurpose WordPress themes, Merchandiser probably isn’t for you. However, if you do choose this theme, you’re still free to install plugins to add any of the other features you really need. Merchandiser comes highly recommended and is well worth taking for a test drive. For most people, though, whether you’re creating your own online store or building ecommerce sites for your clients, Merchandiser comes highly recommended and is well worth taking for a test drive.